I love a good Clynelish. There’s nothing quite like that waxy fruity character after a long day. 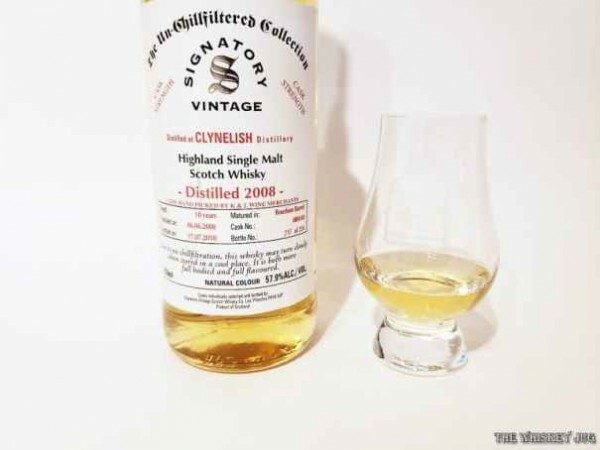 Typically I’m drawn to the older releases of Clynelish, like 15+, but when I cracked this bottle of 2008 Signatory Vintage Clynelish 10 Years I was instantly in love. This is an astounding Scotch and shows a maturity beyond its 10 years. Coming from a single ex-Bourbon cask with a rich golden, almost amber, color I have to assume it’s from a first-fill ex-bourbon cask. They don’t specifically call it out, and they usually do if that’s the case, but between the color and depth of flavor it doesn’t make sense for it be anything else. 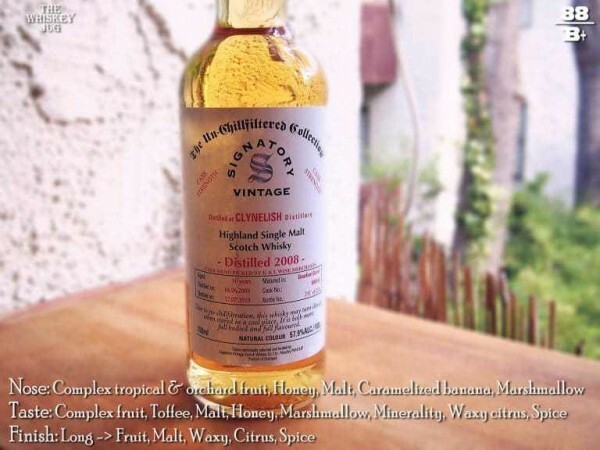 Goddamn I love Clynelish… the results after a decade of aging in exceptional wood speak for themselves. The crystalline purity and wild texture are what set it apart from the rest. That waxiness is still there in all its honeyed glory. 95% of the malt get’s siphoned off for blends, so when we find a good cask we jump all over it. And this one sits right next to perfect. An absolute unit. Complex tropical and orchard fruit, honey, malt, caramelized banana, marshmallow and a touch of minerality and waxy citrus. Complex fruit, toffee, malt, honey, marshmallow, minerality and some waxy citrus and spice. Long -> Fruit, malt, waxy, citrus and spice. Well balanced, full round body and oily rich feel. Crisp aroma, oily waxy palate and a finish that just won’t quit. 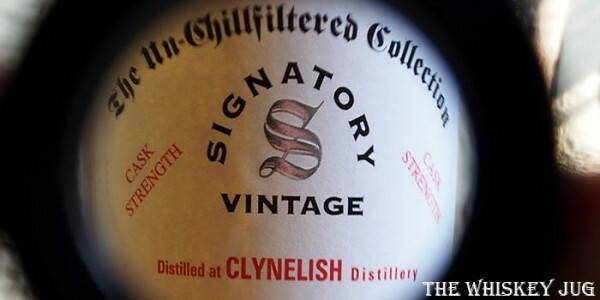 2008 Signatory Vintage Clynelish 10 Years is a force of complex fruit and sweet malt with an oddly high amount of darkly sweet notes and vanilla; must have come from a great ex-Bourbon barrel. It doesn’t say 1st fill, but the color and depth of flavor in this 10-year-old whisky is nuts. Hard to think it could be anything but that. Adding water makes the aroma a bit waxier but otherwise makes no significant changes. Water gives the palate more waxy citrus and malt and brings out a bit of char. 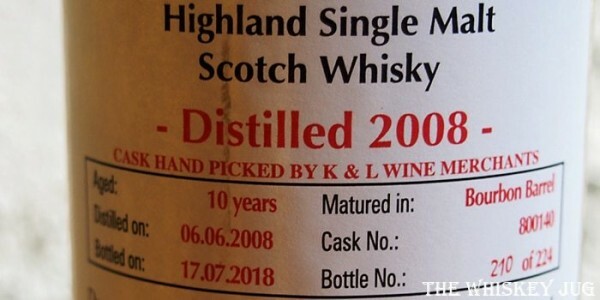 This is a stellar whisky, especially at just 10-years-old. This is what Clynelish is supposed to be all about, a truly fantastic representation of the distillery. 2008 Signatory Vintage Clynelish 10 Years is a great whisky. Crisp honied fruit aroma, waxy oily fruity palate and a finish that goes on and on and on. The post 2008 Signatory Vintage Clynelish 10 Years Review appeared first on The Whiskey Jug.